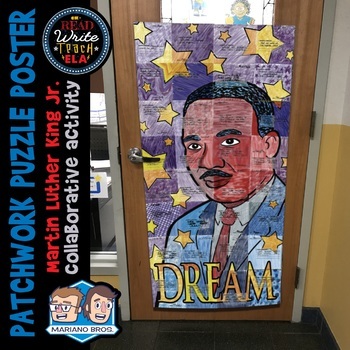 This activity aligns well with any Martin Luther King Junior activities you may do. Use it for Martin Luther King Day or for Black History Month. Students work together to build a collaborative poster displaying their dreams for a better world. Great for door display or bulletin boards! - 32 puzzle pieces with a place for students to write their dreams.